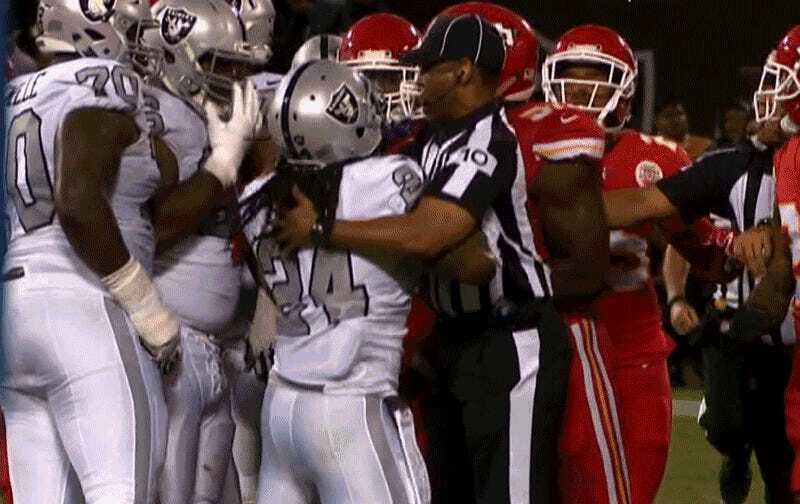 After Marshawn Lynch was ejected from last night’s game against the Chiefs for making contact with an official, there were reports that he had immediately changed into street clothes in the locker room and left the stadium. 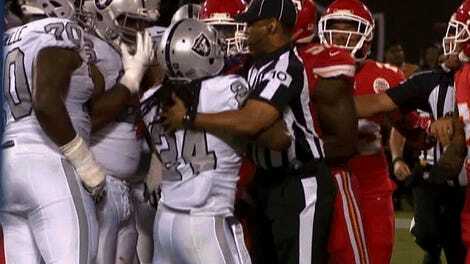 That turned out to not be quite true; Lynch did indeed leave the locker room and never returned to the Raiders’ sideline, but he stayed in the stadium. Whatever Lynch’s motivations were, he’s probably going to keep them to himself. He’s spoken to the media just a handful of times since returning to the NFL, and that’s not likely to change soon.